Lateral career paths keep individuals employed and companies growing. 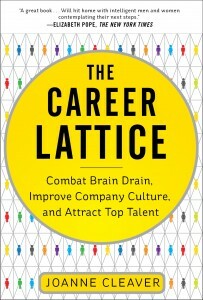 The Career Lattice is the essential guide to strategic lateral moves, showing through narratives and case studies how individuals and employers grow and thrive in a slow-growth economy. See career lattice diagrams and read case studies at The Career Lattice.